Early in 1968 I was breeding a free egg layer for the first time. I have buy four 12 litre plastic aquarium i 1967 and made my first shelf for breeding aquarium and the first spice to try was Danio rerio. I was using sand and plants in the aquarium but I have success and got some fry. Then I try the same with Tanichthys albonubes and got some fry and success also to breeding this spice. I don’t remember how many times I was breeding these two spices in 1968 and 1969. I was doing it some time to verify that I was able to breeding them again. This gave me very high self-confidence and I begin to feel like a world champion in the term of breeding aquarium fishes, none I know in this time have done the same. 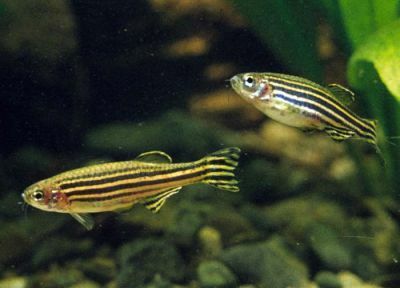 So these two spices was the second chapter in my life as an aquarist and the start for me of breeding egg layers. Today, there have been 35157 visitors (90886 hits) on this page!